Black & White: find out who Peter Molyneux really is? Black & White's gorgeous graphics are certainly its highlight, with incredible attention to detail and a real feeling of manipulating a living, functioning, world. So we’ve had a look at Populous II from the “mind” of Peter Molyneux and which I decided is a god-game which actually, in some ways, subverts its deep strategic intentions to be an entertaining and quite fast-moving clickabout which is fun even though it’s largely about flattening land. So what of the other game? Well, Black & White came out in 2001 and is also from the “mind” of Peter Molyneux. It’s quite obvious when you start playing the game and have a flick through the fairly-hefty manual that B&W (as I’m going to insist on calling it from now on because it’s quicker) is the spiritual successor to Populous and its sequels even if it isn’t officially part of the same series. This is, once again, a god-game and, yet again, the player is up against rival gods using both followers and godly-powers to claim victory in a succession of landscapes. There are, however, striking differences in gameplay. The main one of these is the addition of the creature, a hugh animal which becomes, in a way, your representative on the earth and wanders around under simple artificial intelligence “experimenting” with eating stuff and chucking followers around or whatever. 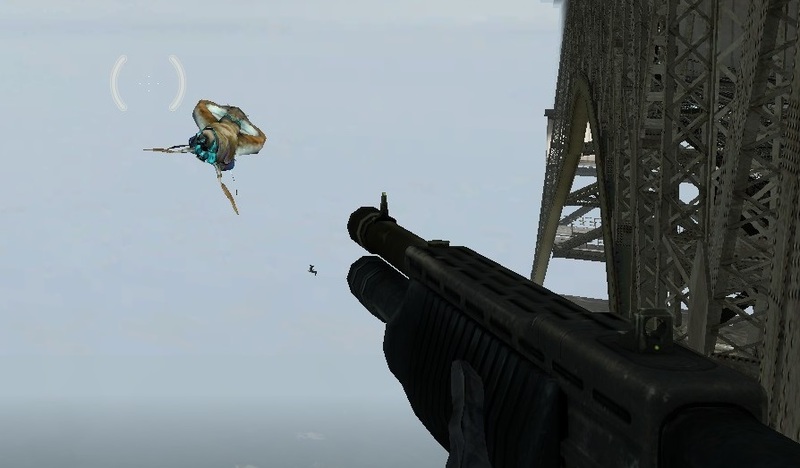 The player, who is represented in-game by a floating hand, can slap or stroke the creature to “re-inforce” good or bad behaviour; what this means is entirely up to the player. This means the creature can, theoretically, be trained into doing tasks for the player like running about gathering-up food from farms for the granary or, if you’re a meanie, kicking the poor followers about and keeping them in line. Indeed, the possibility of being a “good” or “bad” god was the driving force and selling-point with B&W, “find out who you really are” as the game’s tagline has it. Godly powers include everything from being able to grab fish from the sea and chuck them into the village food-store, to throwing followers around, to hurling fireballs and lightening. All of these things understandably make an impression on the mere mortals wandering around on the ground and increase belief in the player’s god. At a temple, worshippers dance around creating mana which is needed for the godly powers. The player can determine how many of his or her followers are worshiping at any time and is responsible for making sure they’re well fed and rested. The followers themselves build villages with buildings although the player-god can micro manage by creating scaffolds and dictating what should be constructed. 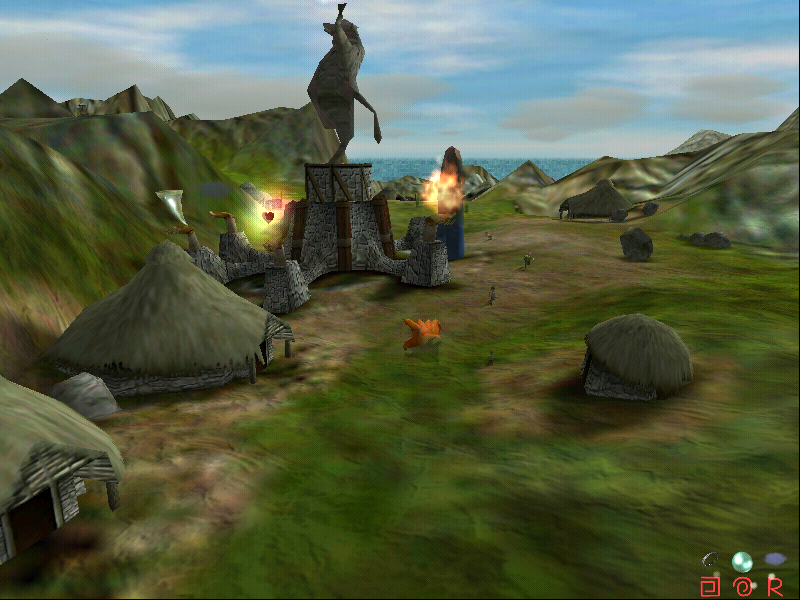 Each village has a radius of influence which the player-god can act within meaning that, say, if a player village grows enough that its influence reaches an enemy village the player can start hurling fireballs or people around in it; this increases belief in the player god in the village: get enough and the village is yours. Unlike Populous II, B&W has the very modern feature of some kind of narrative – largely explained by a “good” and “bad” character who accompany the player throughout the game and who are actually quite good fun – involving evil gods being horrible and kidnapping the creature and the like. This is the first thing that I feel goes against the game: I like the way Populous II is just a series of challenges getting slowly but surely more difficult whereas B&W has relatively few stages that take a long, long time to complete. The second thing that goes against the game for me is how this is achieved: impressing rival villages is actually rather dull and building up your own, interesting at first, becomes tedious and more like work than fun. I actually spent about an hour playing this where I was doing nothing more than picking up rocks and fences and stuff and throwing them at an enemy village to build-up belief. None of this actually means that B&W is a bad game. There’s plenty to do and, unlike Populous II, there really is wide strategic depth in there but unlike the older game, after early enthusiasm it starts to feel more like a way to spend a few hours rather than something that’s actively a lot of fun. 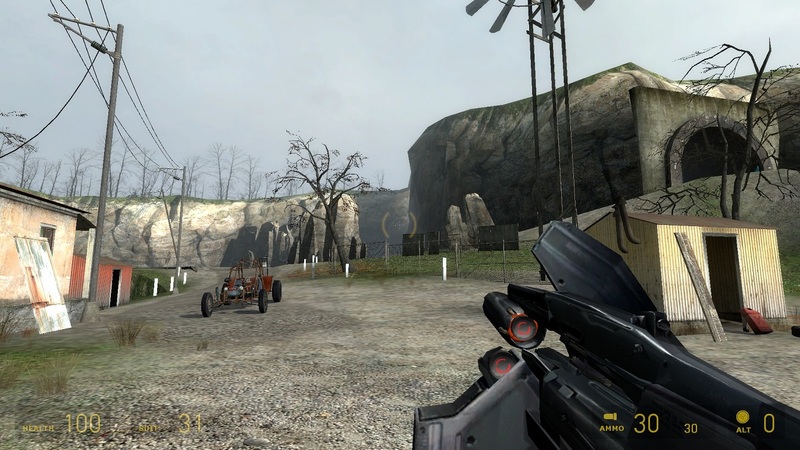 Reviewers at the time felt the same way: early excitement and praise for the visuals (which are, by the way, superb even 10 years later) and high scores gave way to disappointment as the much-vaunted creatures (which is, incidentally, one of the game’s most interesting features) were revealed to be difficult to keep tabs on and were actually captured or crippled in some way for several of the game’s levels, and the interaction with the villagers which seemed to promise so much variety was revealed to be mostly picking them up and throwing them or assigning them various tasks. Molyneux has, with B&W, created a very nice, very interesting idea for a game that isn’t quite as fun or as intriguing as it sounds on paper. If you liked the Populous series then B&W (which you can doubtless pick-up for peanuts these days) is worth a look, although I found it became more work than play after a while, even if it does look stunning. There’s a sequel, Black & White 2, which came out a few years later and which I haven’t played but which may well fix some of the gameplay problems in the original. Maybe I’ll find out and let you know some day.